SHARE offered a webinar on October 4, 2018, describing practical workflows for scraping Omeka sites in order to curate metadata for discoverability. The presenters were Michael Roth, Project Intern; Heather Froehlich, Literary Informatics Librarian; and Cynthia Hudson Vitale, Head of …continue reading. On Thursday, October 4, 2018, SHARE is offering a webinar describing the outcome of a recent pilot project sponsored by the Association of Research Libraries (ARL) and Penn State University Libraries that explored distributed digital humanities assets. The presenters will …continue reading. 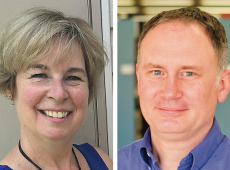 The Association of Research Libraries (ARL) has appointed Matthew Harp and Joanne Paterson as visiting program officers for a SHARE project to help make online, scholarly works in the humanities more findable and usable, sparking further discovery and learning. 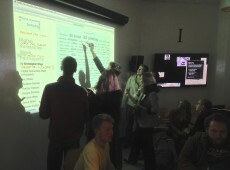 Digital humanities scholarship …continue reading. 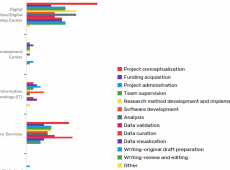 The Association of Research Libraries (ARL) has received a $75,000 Digital Humanities Advancement Grant from the National Endowment for the Humanities (NEH) to incorporate more digital humanities metadata into the open SHARE database documenting research and scholarly activities across their life cycle. …continue reading.